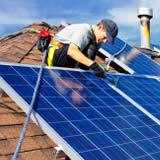 Solar PV has delivered great returns to householders for a while now, and this is set to continue. The cost of new systems has fallen massively over the last few years, with an average system costing £3,000-£4,000 and larger domestic systems costing £4,000-£5,000. Larger systems on a well situated roof can earn you around £600 a year, while less well situated roofs can earn £300-£500 a year, guaranteed to be paid every year for 20 years. This can deliver a profit of as much as £4,000 over the lifetime of the panels. Used as a heating fuel in place of oil, gas or coal, biomass can save you emissions and money. There are now so many options for biomass heating it is likely that you can find a biomass solution to suit your home’s heating needs. 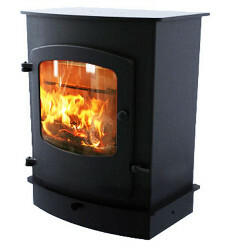 If it’s just room heating you’re after, biomass stoves are available for as little as £500. Stoves can come with back boilers to heat water as well as your room for around £2,000, with biomass boilers that can be connected to a wet central heating system coming in at around £10,000. Biomass heating can save you £300 – £600 a year on your heating bills depending on the fuel you’re replacing. Could biomass save money in your home? If your oil or gas boiler is more than 10 years old, you could make substantial efficiency savings and reduce the risk of breakdown by installing a new condensing boiler. 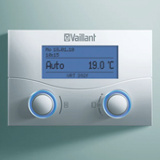 They use a mechanism which makes them 12% more efficient than a non-condensing boiler, saving you up to £300 a year. Typical installation costs range from £2,000-£3,000, meaning that many systems should pay for themselves before they need to be replaced. Solid walled properties can either be insulated internally or externally to cut down substantially on heating bills. Internal insulation is cheaper at around £7,000, saving you around £450 a year. External insulation costs a bit more at around £10,000 and can save you £475 a year. This adds up to a payback of 14-20 years, with the insulation saving you money beyond that as it lasts for the lifetime of the house. How much could you save with solid wall insulation? Low carbon heat technologies can now efficiently use the heat from the air and ground outside your house to warm your home. Air source and ground source heat pumps capture the heat and concentrate it to heat your water to provide heating and hot water. Heat pumps cost around £6,000-£10,000, and can save you up to £600 a year on your bills. This means that a system may pay for itself in as little as 10 years. This entry was posted in Energy Solutions. Bookmark the permalink.